The Danish Wind Industry Association is Denmark’s leading wind industry association representing more than 200 member companies comprising the entire supply chain. Along with a binding and ambitious national target of at least 50 pct. renewable energy in 2030, the wind industry players located in Denmark enjoy access to outstanding test and demonstration facilities. A cooperative group competitive profitable and entrepreneur in a global context offering solutions and services to the market based on the experience knowledge innovation inter-cooperation and strategic alliances and through commitment and our cooperative identity generate sufficient wealth to provide value-added employment and progress to the society. The objective of the company is to develop a new architecture of electric machine (motor or generator) more compact and lighter than conventional technologies. Deutsche Windtechnik offers the complete package for the technical maintenance repair upgrading and inspection of wind turbines from a single source. The company operates both onshore and offshore across Europe and North America. DHI is an independent international consulting and research organisation represented in all regions of the world. DHI contributes to the development of offshore windfarms and marine renewable energy installations worldwide. We have more than 25 years of experience as a provider of integrated services within this field. DHI has contributed to more than 85% of the commissioned offshore wind farms in Europe. Whether onshore or offshore our team in the Global Wind Competence Center will supply you with custom-made WTG/BOP transportation solutions; from factory to supply base or installation site. BTI Light Systems provides state-of-the-art solutions for obstruction lights as well as marine aids to navigation for wind turbines – both onshore and offshore. We work in close co-operation with our customers to fit each of our solutions exactly to the individual requirements and needs applicable to the specific project. Electrical ◆ Electrical Systems / Connections - install. DNV GL unites the strengths of DNV KEMA Garrad Hassan and GL Renewables Certification. DNV GL’s 2500 energy experts support customers internationally by delivering world-renowned testing certification advisory and operational management services to the wind industry. 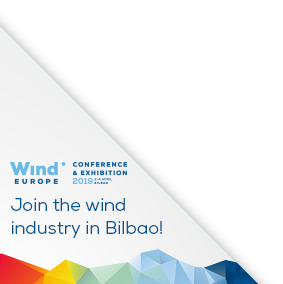 We also provide industry-leading software tools for wind turbine designers owners and operators. The Wind Energy department at The Technical University in Denmark does research education innovation and consultancy to private and public actors. Research areas are meteorology aerodynamics/aeroacoustics structural and electrical design materials grid integration and measurements. The staff includes about 250 people with 40 PhD students and about 150 researchers/engineers. DUWIND is the wind energy research institute of the Technical University Delft. Danish Wind Export Association (DWEA) organises joint export drives for the Danish wind industry at the international wind fairs under the brand 'Pavilion of Denmark'. Furthermore DWEA offers networking seminars and delegation tours. DWEA – owned by Danish Export Association and Danish Wind Industry Association.